Cadnam Garage Services offers a breakdown recovery service in Cadnam, Southampton at a reasonable fee. If you want to know more about our vehicle recovery services us or need a quote, please get in touch and our team will be happy to help. If we can’t fix them on the roadside, we’ll get you back to our garage and carry out the repair work from there. It takes a little longer but Cadnam Garage Services promises to look after you every step of the way. Part of the problem with breakdowns and car repairs is the regular car owner doesn’t know the jargon. Too many companies use the complex terms instead of explaining the situation to their customers. Cadnam Garage Services is the complete opposite. We’ll explain the problem with your car in a way you understand. Our mechanics are fully trained and experienced. If you have any questions about your vehicle or the process of our repairs, please ask and they will be happy to answer them. 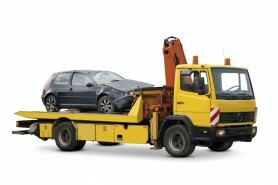 When you need breakdown recovery in Cadnam, Southampton, contact Cadnam Garage Services. We will be happy to help and answer your questions.